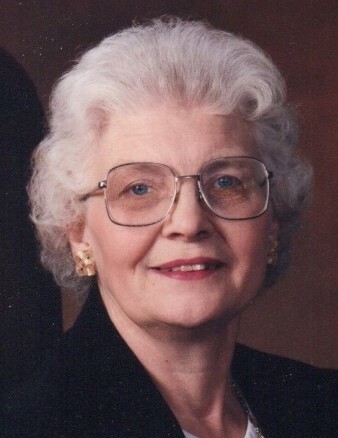 Nora Jane "Nonie" Fisher (Dierschow), age 88, of Greeley, Colorado and formerly of Batavia and West Chicago, passed away on March 26, 2019. She was born in West Chicago on June 24, 1930 to Walter and Mae (Hensel) Dierschow. Nora Jane was a former member of Trinity Lutheran Church in West Chicago and Immanuel Lutheran Church in Batavia. She was active in the American Legion Post 300 Auxiliary and VFW Post 6791 Auxiliary both of West Chicago. Nora Jane is survived by her children, Charles (Mary) Fisher of Batavia and Carol (late Dr. Joseph) Corona of Greeley, Colorado; grandchildren, Jack ( Erica), Jay (Katie) of Greeley, CO and Jeff (fiancé, Audriana) of Lakewood, CO, Jill March (Andrew) of Windsor, CO and Marli Fisher of Spokane,WA; great-grandchildren JD, Declan, Mary, Joey & Brennan and another great-grandchild due in July and many relatives and friends. She was preceded in death by her parents, husband, Eugene “Sandy”; brothers, Alvin “Tuffy” Dierschow, LaVern “Mooky” Dierschow and Gordon Dierschow; and sister, Adeline Blecke.